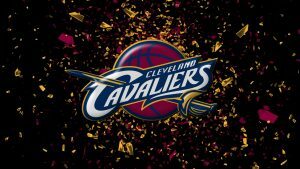 The NBA Championship winning Cleveland Cavaliers will return home as heroes to thousands after their historic victory over the Golden State Warriors in Game 7 of the NBA Finals. The Cavs defeated the Warriors, 93-89, ending the city’s championship drought that had lasted 52 years. Today, plans to celebrate their victorious return have been announced by the city. A parade and various events to honor the Cavs will be held on Wednesday. A special program honoring the Cavs will take place on St. Clair Avenue, between Malls A and B. The parade will begin Wednesday at 11 a.m. outside Quicken Loans Arena and will feature more than 60 units, including floats and specialty vehicles. The new release states that The Ohio State University Marching Band, affectionately known as The Best Damn Band In The Land, will be marching in the parade to honor the team. According to the news release, the parade will begin on East 6th Street. The parade route then goes north to Huron Road, west to Ontario Street and south to Carnegie Avenue. The parade will follow Carnegie to East 9th Street, circling The Q and Progressive Field in the process, then will travel north to Lakeside Avenue and west to end up back on East 6th Street. Quicken Loans Arena, home of the Cavaliers, hosted an official Game 7 watch party for fans in the city. The $5 tickets for the 20,562 indoor seats were all sold in less than a minute. Admissions for the outdoor plaza were also sold out in under a minute. The victory over the Warriors was a proud moment for many of Cleveland’s residents and for fans across Ohio. Many had counted the Cavs out after the fourth game of the championship series, doubting that they could come back from a 3-1 series deficit. Then, Lebron James averaged 36.3 points, 11.7 rebounds, 9.7 assists, 3 steals and 3 blocks in the last three games of the Finals to help the Cavs win the title. Cleveland became the first team ever to rally from a 3-1 series deficit and emerge victorious. The pride of the fans were on full display after the game. Hundreds stood in lines so they could immediately buy championship gear celebrating their team. Commemorative copies of the Cleveland Plain Dealer and the Akron Beacon Journal were sold. Impromptu celebrations broke out in various areas across the city and state. At long last, the Cleveland curse had been lifted. Do College Graduates Get More Brain Tumors? Appleton Partners Inc. MA Sells 255 Shares of PPG Industries, Inc.